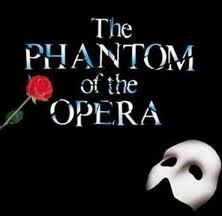 Phantom remains my favorite stage musical production as well. I am transported back to the first time I saw it when I hear the music too. Laughing with your kids…. nothing better in this world. Love ya, wish I could give you a birthday hug in person but will hold it until I see you next.